The mission of APIEM is to contribute to the professionalization of the MICE/events industry in Asia Pacific. We do this in many ways through our – Centre of Excellence accreditation scheme, our international scientific journal, training workshops for MICE/events professionals and by organising academic conferences. 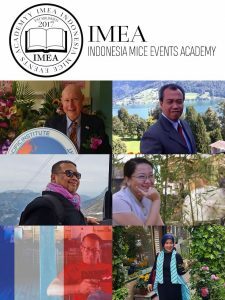 An exciting initiative for APIEM in 2018 is that we are going to contribute to the professionalization of the MICE/events industry in Indonesia by being a founding partner in the creation of the INDONESIA MICE & EVENTS ACADEMY (IMEA) – Indonesia`s 1st MICE Academy. 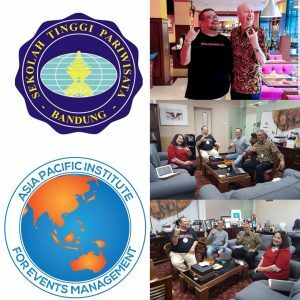 IMEA is being established by APIEM, the Bandung Institute of Tourism (Asia`s oldest tourism & hospitality school), number ELEVEN (one of Indonesia`s leading specialist event companies) and Reza Sunardi (Chairman of the Indonesia Hotel General Managers Association). 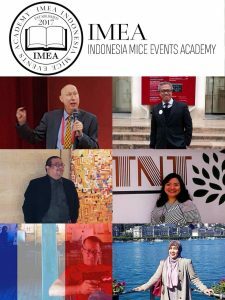 IMEA`s founders combine skills in education & training with practical experience of organising high quality, creative events. The training that IMEA offers will be for people who want to develop their careers within the MICE/events industry or who want to improve their skills, knowledge and understanding of the MICE/events industry. All training courses that IMEA offers will be designed by MICE/events industry experts and will be delivered by MICE/events industry experts. Through APIEM the courses will be verified as being of an INTERNATIONAL STANDARD. arch 2018 at the Bandung Institute of Tourism, West Java, Indonesia and the first training courses will commence in summer 2018. If you would like to receive further information about IMEA please write to contact@theapiem.com – we look forward to hearing from you.